We are proud to announce that Sage Homeowners Association has selected Tinnelly Law Group as their associations’ legal counsel. 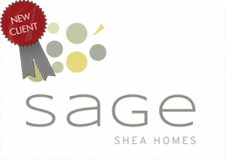 Sage, by Shea Homes, is a brand new master planned community located in Livermore. Residents will enjoy a 1.5 mile walking and bike path, swimming pool, outdoor and indoor fitness centers, a community activities building, yoga lawn, community garden, and an art walk. Our HOA attorneys and staff look forward to working with Sage’s Board and management.